Sitting on the floor is much more fun with this fantastic bead maze. It features brightly colored, multi-shaped beads that spin and slide along colorful wire pathways. Toy is anchored by a strong suction cup base. 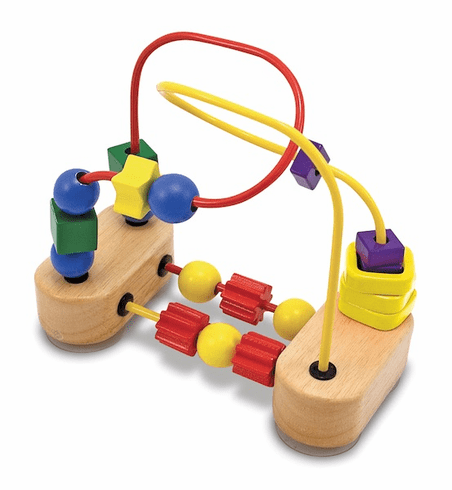 Encourages color recognition, eye-hand coordination and fine motor development through play.